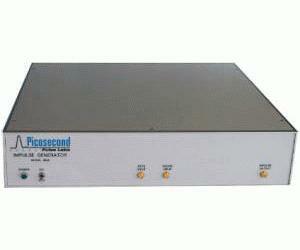 Our Model 3600 Impulse Generator produces narrow, 70 ps (FWHM) impulses that are locked to a clock or sine wave input. The added jitter is less than 2 ps. The impulse train can be gated by an external TTL signal. The Model 3600 will funtion at repetition rates from <100 Hz to 2.5 GHz.